It’s no secret that we need to end our love affair with single-use plastic: it’s polluting the environment, killing the oceans and contaminating the food chain. Plastic Free July is a great way to kick-start change, helping people become aware of wasteful behaviour. 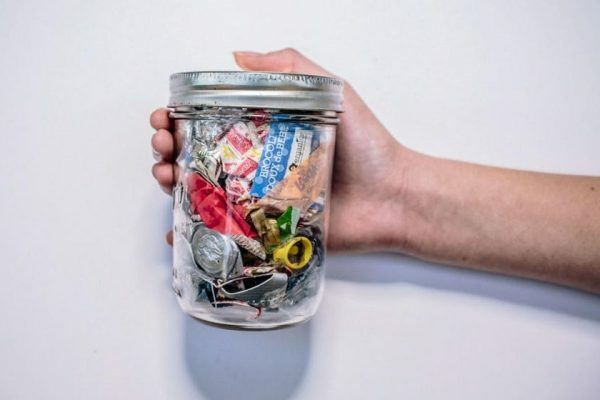 The Australian organisation behind the challenge aims ‘to build a global movement that dramatically reduces plastic use and improves recycling, worldwide’. Since 2011 it’s created a global community across 150 countries, with millions of people taking part to raise awareness and reduce their plastic consumption. The movement is clearly succeeding as companies like Woolworths are banning the plastic bag this month! Everyone is at his or her own stage of behaviour change and for those that have just begun, it can seem really daunting. I’m at my own weird phase of single-use plastic reduction. I’ve cut out the obvious but keep slipping up on the less obvious. The truth is, I’m lazy. What I realised this year though, is that going plastic-free is still do-able as a lazy person. There are multiple ways to change that are beneficial for the environment and your wallet, without compromising a chunk of time and effort. Use a bamboo toothbrush (most chemists sell them now), it can go straight into the ground after it’s done! Tell people about what you’re doing! Instead of getting back on the plastic bandwagon, hopefully your eyes will be opened to plastic waste and some changes will be permanent. Take a second to consider wins and any fails, don’t feel bad for slip-ups. If it takes longer than a month to tick some of the above off the list, don’t give up. Take a nap on the floor and keep going!